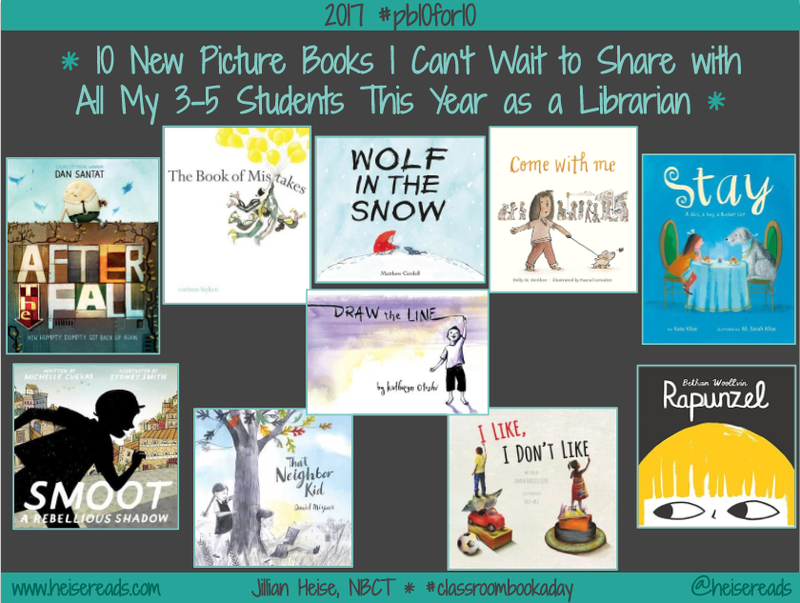 I always love participating in Cathy & Mandy's #pb10for10 event to celebrate picture books that are must haves for my classroom to share with students and seeing what picture books everyone else shares. 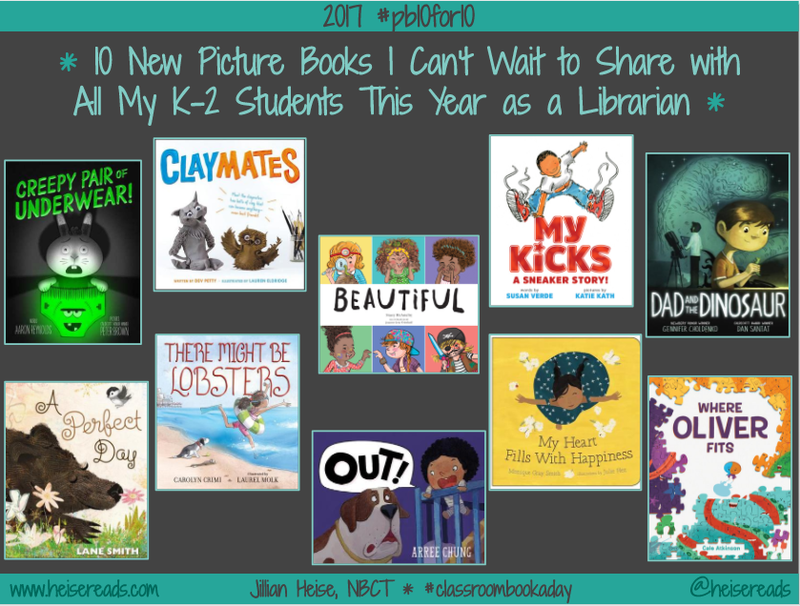 These would all be fabulous #classroombookaday choices also! I inevitably end up with a longer wish list and shopping cart and a maxed out hold list at my library. So get ready, and then go check out other educators lists today! The thing is, I have such a hard time limiting things to just 10, so as you know if you've seen my posts before, I always get a bit creative with my numbering. And this year is even more special because I have a new job! I'm transitioning from being out of the classroom as a literacy consultant into a new role as a K-5 school library media specialist. 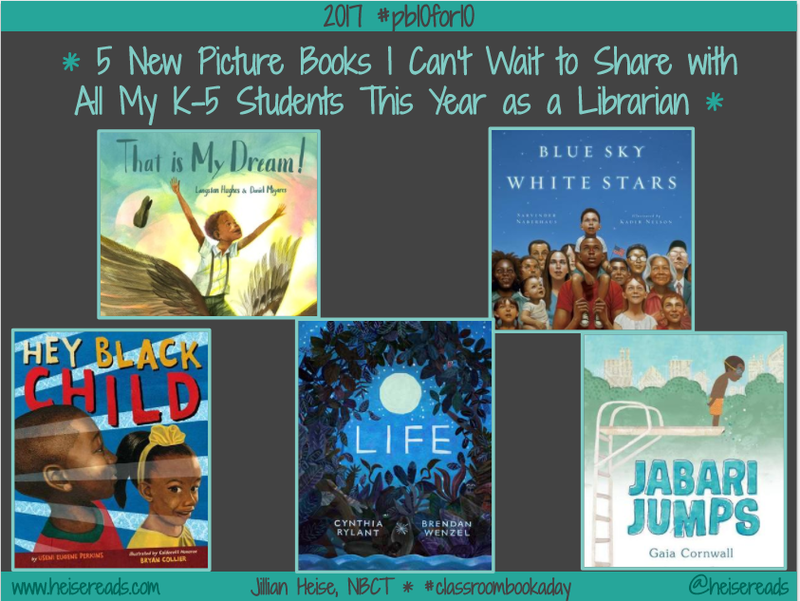 I am beyond excited, especially to be back sharing books with kids again, and I approached this year's list a bit differently because I've been thinking so much about the picture books I'm eager to share with students once we get back to school, but I also know the books I might choose to read with my K-2 kids might be different from what I choose for my 3-5 kids. Added some of these to my "Must read' list. Thanks! Great "list" err, lists! We have a lot of overlaps, as I chose to focus on 2017 books this year. Congrats on the new position! This is some very creative counting! Your enthusiasm shines through! I totally get your creative counting. It's such a challenge to only select 10 books. You've given me a couple of titles that I'll be ordering for the Doucette Library of Teaching Resources (Smoot and Where Oliver Fits). Thank you. I know nearly all of these, want to share that while my going-into-first-grade granddaughter chooses Creepy Pair of Underwear (& Creepy Carrots) often, a very new book you might want to add to your sharing that she also loves is Twig. I like it too, and of yours, love Life & Smoot! Best wishes in your new job!